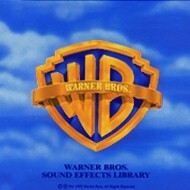 The Warner Bros. Sound Effects Library is contained on two CD-ROMs for the Digidesign SampleCell. Sound effects from Looney Tunes, Bug Bunny, Daffy Duck, etc. You've heard many of these sounds but never had access to them. Now they're ready to load in to your computer at 44.1 khz. In addition, many stereo industrial and science-fiction ambiences push the library beyond the world of comedy. All the sounds have been restored with Sonic Solutions, are completely noise-free. There are 2 volumes for a total of 2,000 sound effects all categorized for quick loading into SampleCell (Sound Designer format). The two disks in this title are not available separately. Click Purchase This Title, or contact Northstar for complete information and shipping details. Northstar accepts VISA/Mastercard/Amex/Discover, check or money order. (503) 760-7777.